Turkish singer Haluk Levent, who is renowned for his charitable works, has been invited to perform in New Zealand after he donated the proceeds from a recent concert to the victims of the Christchurch terrorist attack, which left 51 Muslim worshipers dead. 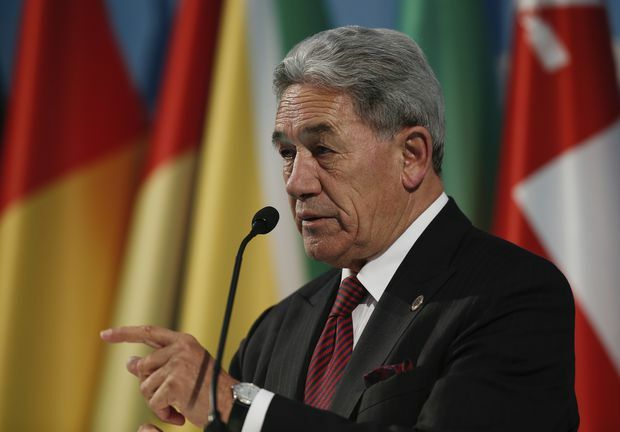 Winston Peters was speaking at an emergency session of the 57-member Organization of Islamic Cooperation's executive committee in Istanbul where he denounced last Friday's attacks as "an attack on all of us" in his country of "religious tolerance". Brenton Tarrant, a 28-year-old Australian, was arrested and charged with murder. "This person will face the full force of New Zealand law, and will spend the rest of his life in isolation in a New Zealand prison", Peters said, adding later that "misinterpretations" in the days following the shooting had been cleared up following his meeting with Erdogan and the OIC. Erdogan has angered New Zealand by showing excerpts of the footage at campaign rallies for local elections this month. Erdogan told supporters: "If New Zealand fails to hold the attacker accountable, one way or another we will hold him to account". Winston Peters spoke publicly in Istanbul, calling on for an end to Islamophobia and assuring Muslim leaders New Zealanders are a peaceful people. The OIC groups together Muslim countries to protect the interest of the Muslim world. "We were coming here to ensure that the record was correctly understood, that with precision and exactitude they knew what had happened in New Zealand and what our response was..."
Not long after news of the shooting broke, Erdogan said, in what seemed to be a message aimed at New Zealanders and Westerners: "Your grandparents came, some of them returned in coffins". The New Zealand Embassy in Ankara also said Peters had raised the issue with a Turkish delegation in New Zealand. The Muslim call to prayer rang out across New Zealand on Friday followed by two minutes of silence nationwide to mark a week since the attack. Erdoğan then referred to the Anzac conflict in World War I and said: "We will see you off like your ancestors".